Here it is ... No. 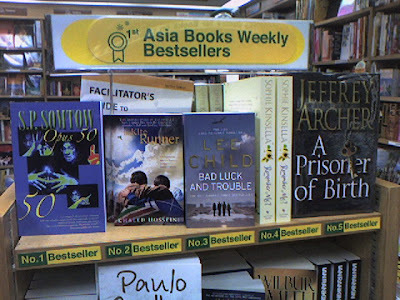 1 on the best seller list.... at my advanced age, beating out Kite Runner and Lee Child. Perhaps Thailand is the center of the universe after all. Just read An Alien Heresy and enjoyed it immensely, great story. Thanks a lot, Eric, I appreciate it.